Green smoothies aren’t usually my Friday go-to. Green smoothies are a Monday thing. 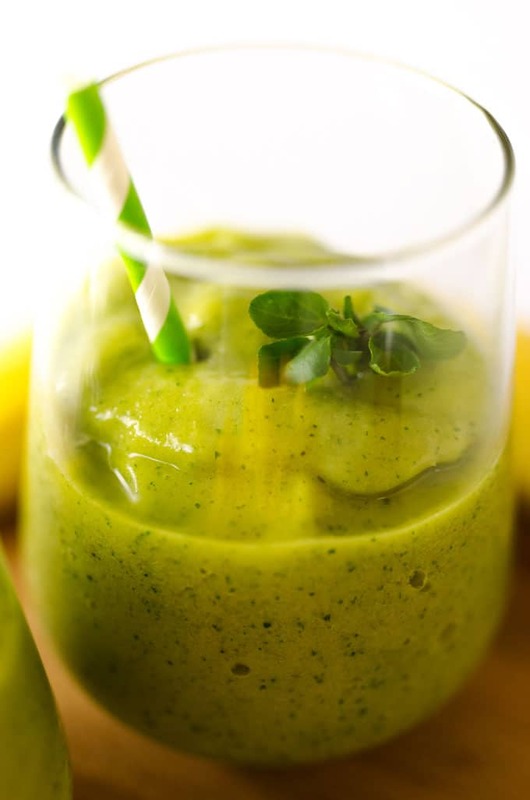 Bright-eyed and ready for the week, I sip a green smoothie as I zoom off to school. Fridays are for pizza and bourbon slushes and treating myself to Dutch train station goodies. But not this Friday. Because it’s been one of those weeks where the only way to get through it is by having ice cream before dinner. I don’t handle stress well. And so, friends, I bring to you this watercress smoothie! Watercress has a really distinct flavor. Powerful and a bit spicy! So it doesn’t blend into the background like other leafy greens might (like spinach in smoothies), but instead it contributes a little something something. We’re pairing it with tropical flavors today. 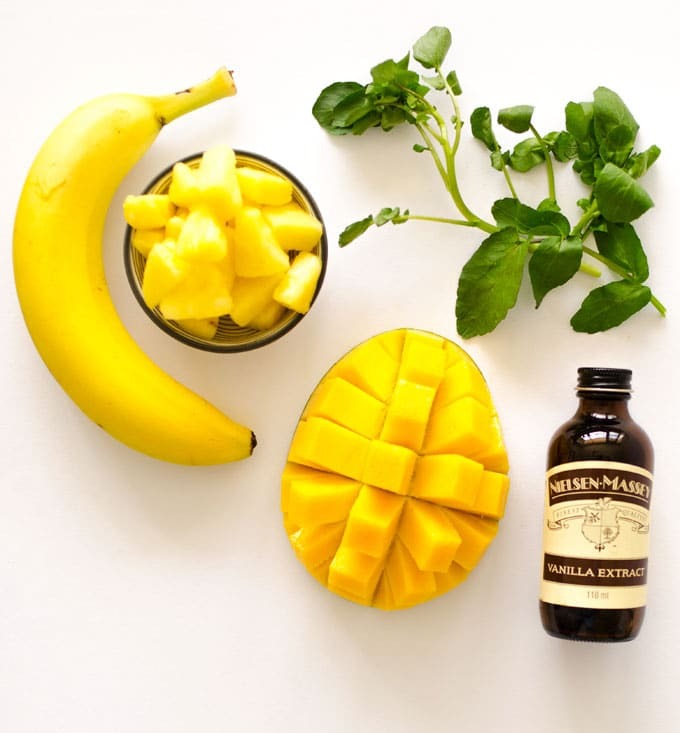 Pineapple, mango, orange, banana…so much yum! So whip this up today as you wind down from the week (then proceed with the aforementioned pizza and bourbon slush because, well, Friday). 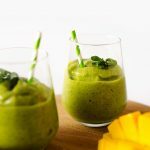 This Tropical Watercress Smoothie is packed with aromatic watercress, tropical fruit, and citrus! Blend watercress and juice until smooth, then add the rest of the ingredients. Blend until smooth and serve. This post contains affiliate links, which means if you make a purchase after clicking a link, I may earn a commission (at no extra cost to you). 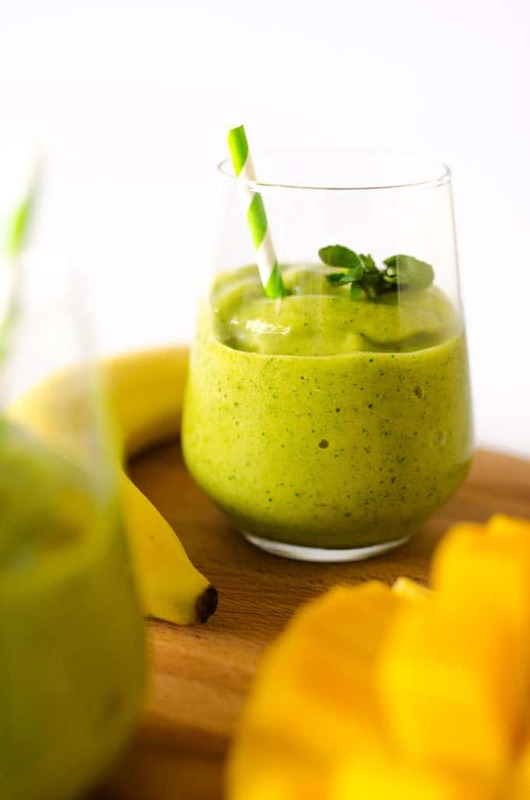 Thanks so much for supporting Live Eat Learn and for making recipes like this Tropical Watercress Smoothie possible!